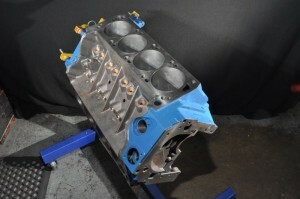 The world’s first aftermarket Cleveland crate engine was unveiled recently by the Waldorf, Maryland, firm McKeown Motorsport & Engineering (MME). They call it Titus. 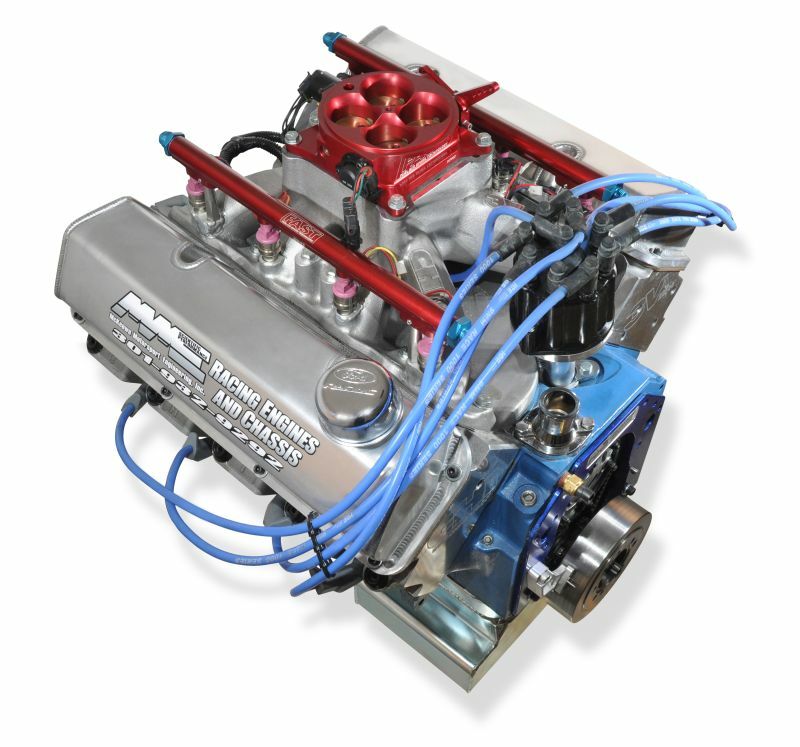 Though MME’s Titus crate engine distinguishes itself from its mighty predecessor of the 70’s and 80’s in many ways—internally balanced forged crankshaft, deck-plate bored and honed, priority mains wet- or dry-sump lubrication systems and so on—it is the multiple choices of induction systems that set it apart from the conventional crate engine. 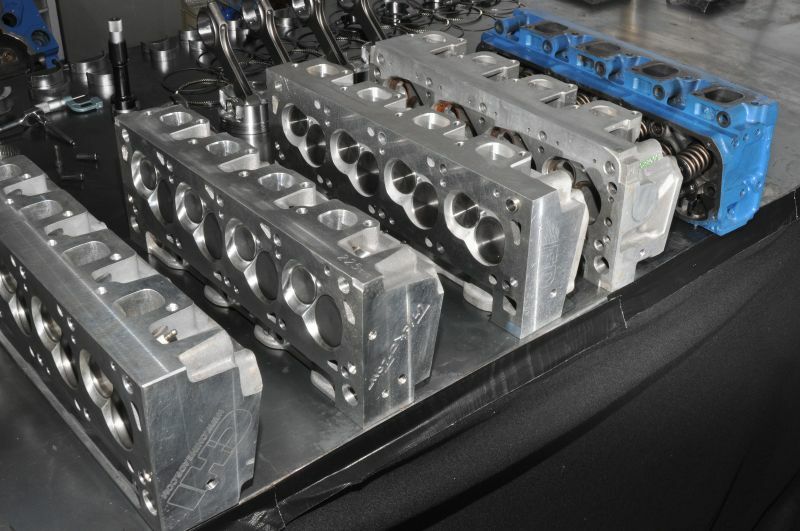 To this end MME offers five different cylinder heads for five different duties, and they require specific information to select the correct cylinder heads and induction system for every engine. A broad power band is the essence of the Titus. 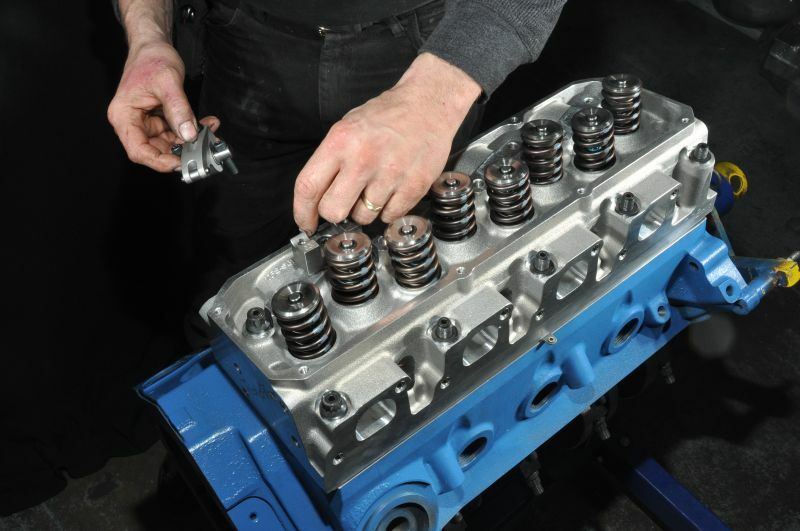 But, exploiting the dominant qualities of different cylinder heads enables it to succeed with light or heavy applications, short or tall gearing, manual or automatic transmissions, low-end torque or high revving horsepower. 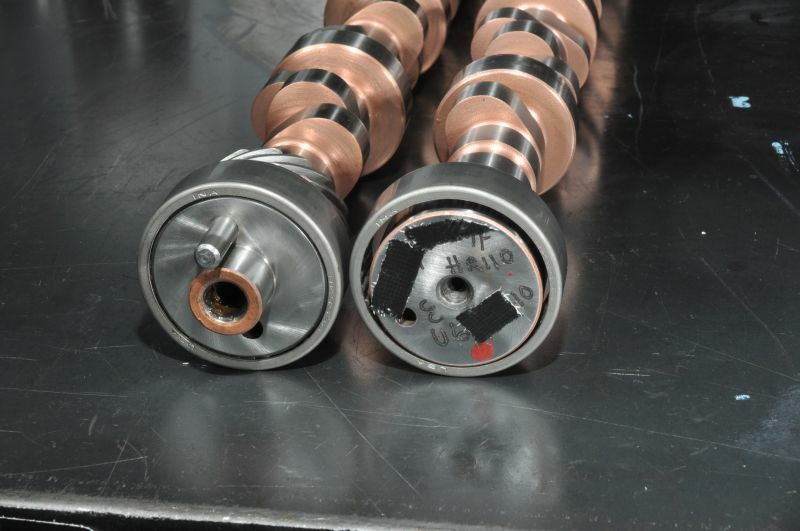 Carbide-tipped tooling is used to machine each Titus crankshaft, converting the engine from externally balanced—its original configuration—to one that is internally balanced. 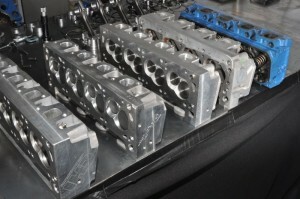 To reduce crankcase windage, counterweights are profiled and balance holes are plugged and polished. Each of these hand-built engines is supplied with a build sheet, disclosing all internal dimensions, including calculated oil clearances. 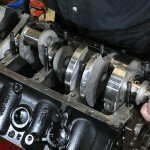 The most important element in building a high performance engine—an engine that accelerates quickly—is to know the crucial rpm range in which it will operate. It’s also helpful to understand that high average power output prevails over peak power output—always—at least in a muscle car if not a dynamometer. 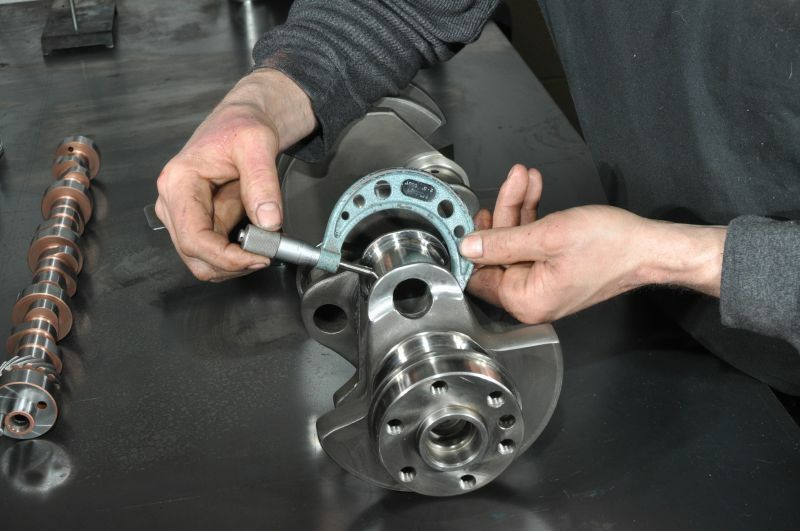 Every bearing shell is measured and recorded to ensure proper clearance. 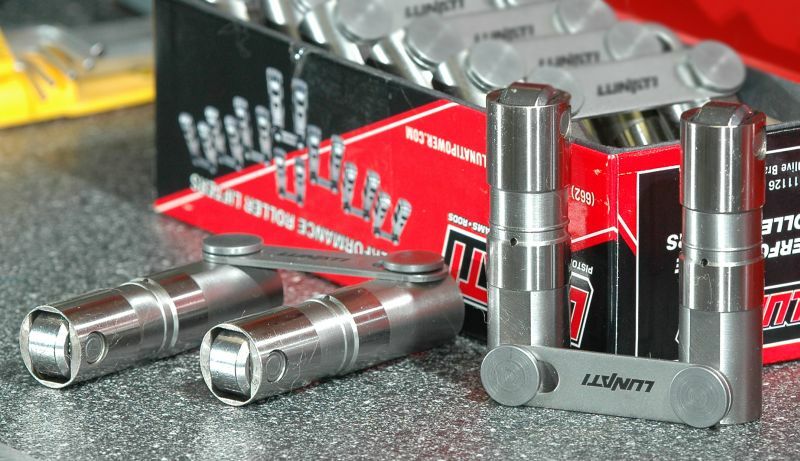 With strong double rib bearing caps on forged alloy steel H-beam connecting rods, MME accompany them with forged aluminum custom pistons, Pro Series bearings and rings, and an 8620 nickel chrome moly camshaft. 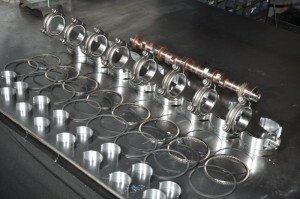 Each bearing journal is measured and recorded. 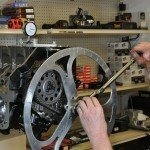 The Titus runs a forged 4340 alloy steel crank with a 4in stroke and 2.750in diameter main journals and 2.100in crank pins. In addition to stating the engine’s operating range, which influences the runner lengths of the induction system, MME needs to know the car’s weight. The induction system of a Titus engine powering a 2,000lb Cobra is obviously different to that of a 3,800lb Mustang. Gearing also has an effect on induction choice. 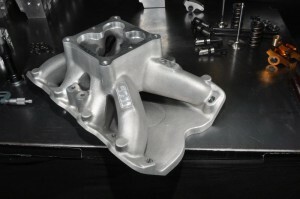 For example, a Titus engine powering a gear ratio of 3.25:1, used predominately to propel the car at 1,500rpm along the street, dictates a different cam and induction system to that of one empowering a 4.11:1 gearing, operating at 3,000rpm. Hood clearance is a further consideration, although the Titus’s 9.2in deck height usually provides adequate top and side margins, especially convenient for header fabrication. 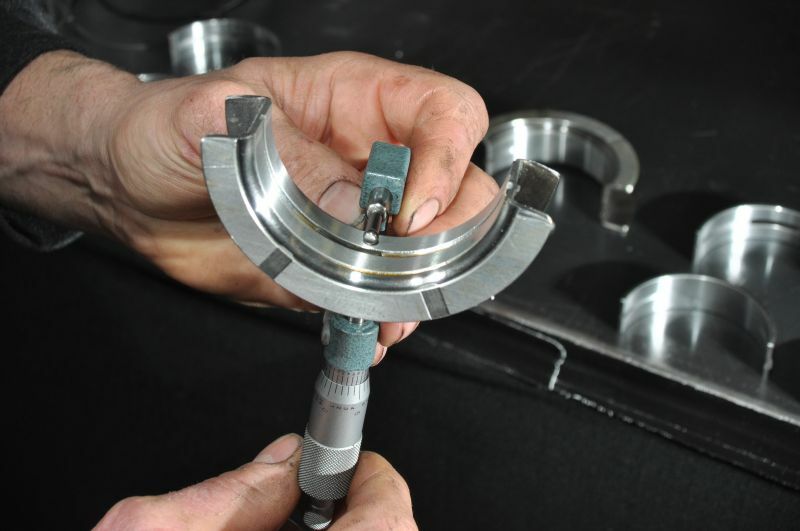 Using an inside micrometer, the journal diameter and the bearing shell thickness is subtracted from the respective bore diameter of each connecting rod to reveal the oil clearance. 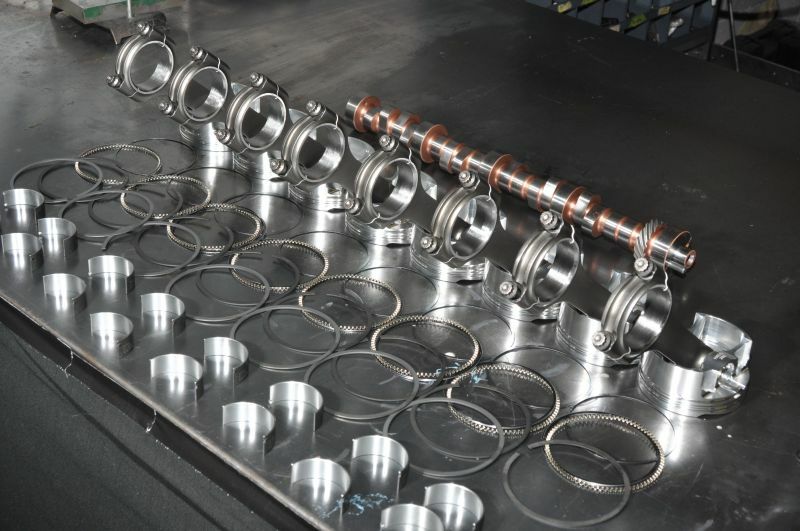 Piston ring end gaps are dictated not only by cylinder bore diameter but also by induction type: naturally aspirated, nitrous oxide, supercharged, or turbo—all require different end gaps. 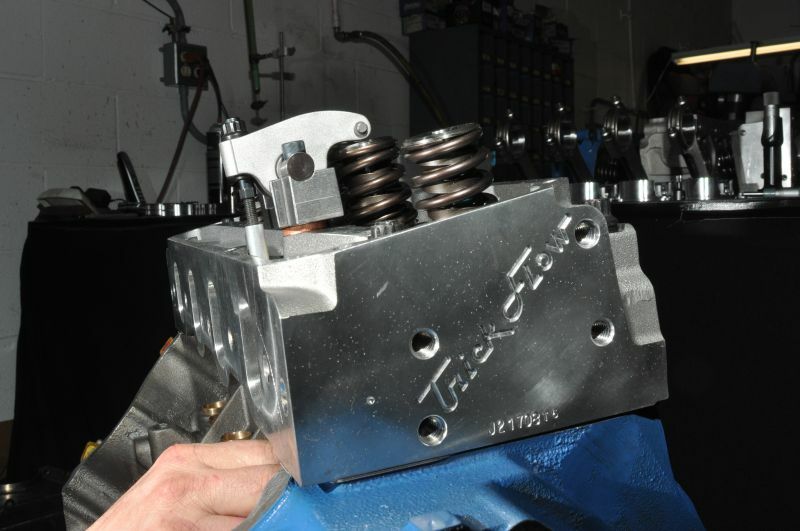 Equipped with priority-mains lubrication and offered with wet- or dry-sump oiling systems, each Titus engine is deck-plate bored and honed. 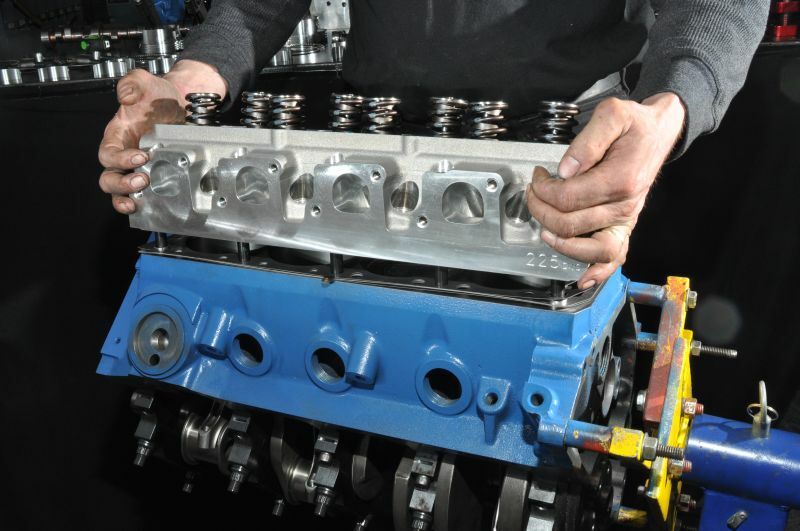 Compared with the Windsor, the Titus’s shorter 9.200in deck height is an easier fit within the confines of the average engine bay, alleviating the task of header fabrication. Finally, before selecting the right cylinder heads and induction system, MME will ponder two further factors. 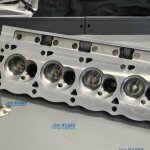 The first one relates to the engine’s cubic inch displacement, paying particular attention to bore size and inlet valve size. 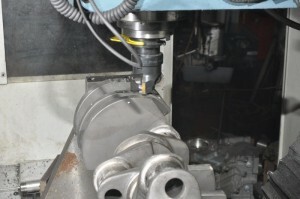 These components often dictate how the chamber and bowl (the area adjacent to the valve seat) are shaped. 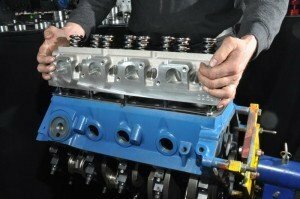 Compression ratios can be altered slightly by using multi-layer steel head gaskets, which are available in thicknesses of .027in to around .050in. The two popular displacements of the Titus engine are 408 and 427cu in. 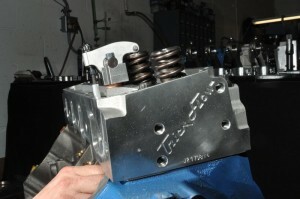 Its 4in stroke increases piston speed and improves drivability. Shaft-mounted rockers are infinitely superior to their stud-mounted counterparts. Under high loads they maintain rocker stability, operate reliably at the center of the valve stem, reduce wear on the valve guides, and are less affected by valve train harmonics. 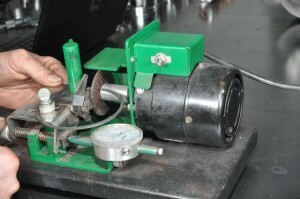 A temporary copper shim is placed under the rocker stand to determine its correct height. 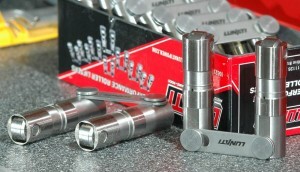 Once established, a full-size solid metal shim is fitted. 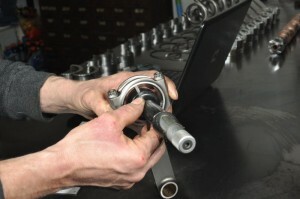 Second, the push rod length is determined by using an adjustable pushrod checker. 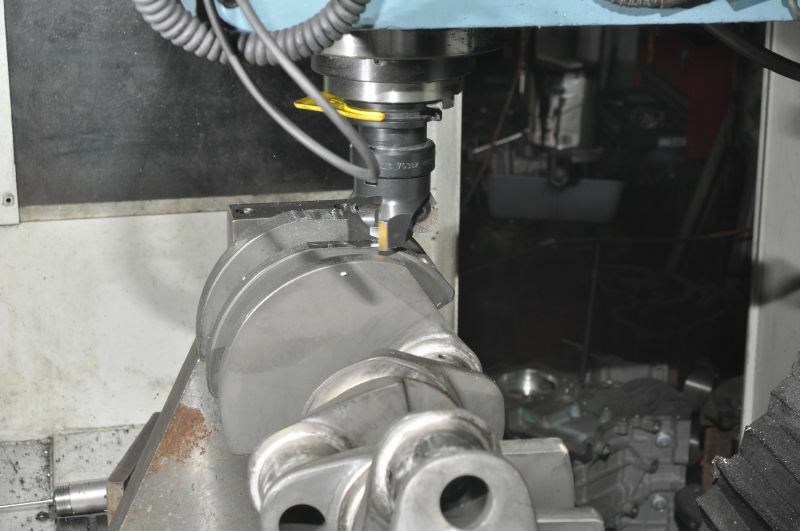 Finally, piston-to-valve clearance is ascertained by rotating the engine with modeling clay placed on top of the piston, removing the head, slicing the clay and measuring its thickness. 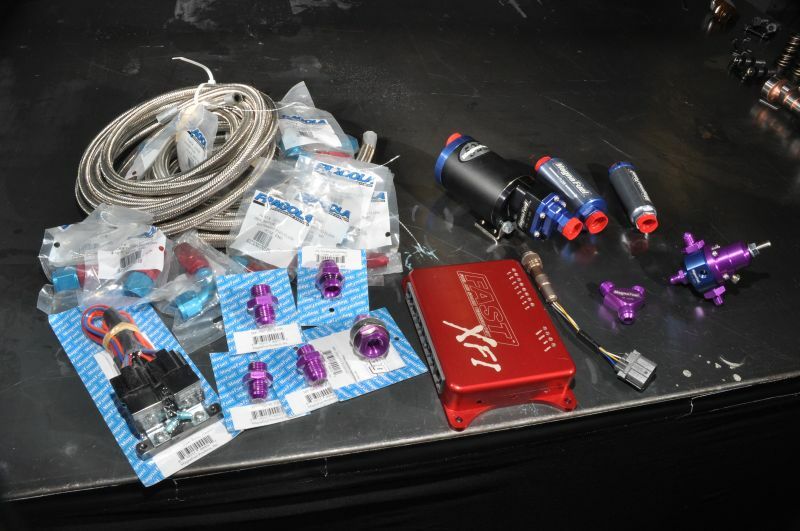 For those who desire optimum airflow and have no under hood clearance issues, the powerful CHI heads with high-rise intake arrangement are always strong contenders. 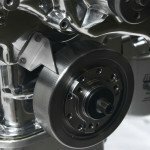 MME tends to focus on the complete performance package, analyzing other components that contribute to the engine’s performance. 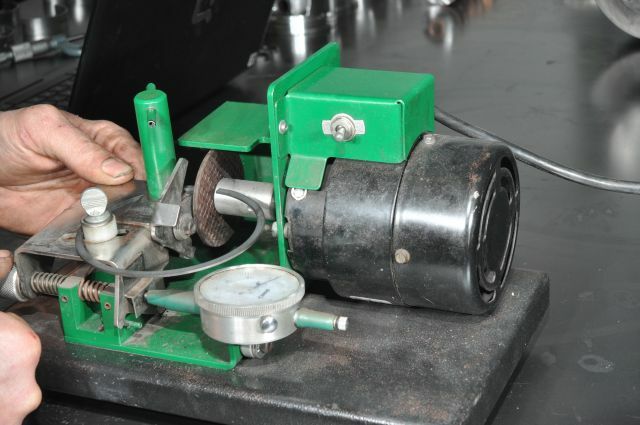 Incorrect fuel pressure or a poor choice of converter, for example, will compromise the calibration of the whole engine. Though engine displacements of 408 and 410cu in have traditionally been the MME staple, bigger 427 and 430cu in-plus displacements are now becoming available. Predictably, the power output most commonly chosen for street and street-strip use is between 450 and 750 horsepower. With many different qualities to recommend the Titus, here are some of the essential stages captured during a typical pre-assembly process.